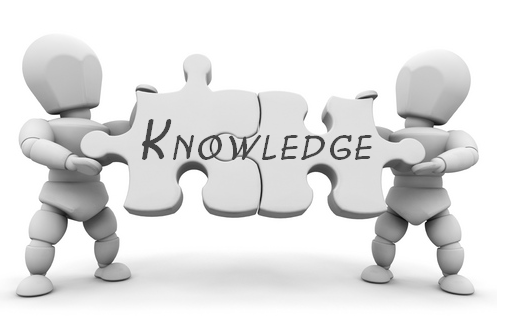 Knowledge Chronicles - Health And Beauty - What Your Stomach Is Really Saying! What Your Stomach is Really Saying! We've heard it at least a hundred, if not a thousand, times whenever we experience discomfort within hours of eating a meal! What if I told you that what you're experiencing isn't either one of those? What if I told you that there a stomach condition that is often overlooked? Hypochlorhydria or too little stomach acid. People diagnosed with gastrointestinal issues, especially inflammatory bowel diseases, Celiac Disease or IBS, are at a higher risk of having stomach acid problems. If you’ve made several diet and lifestyle changes and you’re still not seeing the results you want, low stomach acid might be holding you back. Proper levels of stomach acid are needed to adequately absorb many nutrients including minerals (iron, copper, zinc and calcium), vitamin B12, folic acid and proteins. Stomach acid is also a crucial part of the immune system. The acid barrier of the stomach during normal states of health easily and quickly kills bacteria and other bugs that enter the body. It also prevents bacteria in the intestines from migrating up and colonizing the stomach. Appropriate stomach acid levels are crucial for our immune system and for adequate nutrient status, both of which support total health. You Don’t Feel Good When You Eat Meat - You need more stomach acid to properly break down the protein structures. And without it, red, white or any kind of meat will probably make you feel worse than when you eat other types of foods that contain less protein. You Experience Frequent Acid Reflux After Eating - Insufficient stomach acid leads to a host of conditions that encourage the increase in intra-abdominal pressure (IAP). When IAP increases it pushes against the lower esophagealsphincter (LES). When the LES opens because of the pressure and even a microscopic amount of acid touches the inside of your esophagus it can produce large amounts of pain and burning. 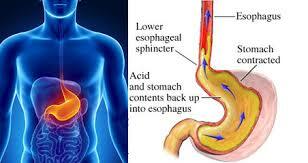 This is because the esophagus is not protected like the stomach from high acid levels. You Burp, Fart, or Get Bloated After Eating - The likely situation is the food you ate is being fermented by bacteria and the byproduct of their feast is gas. If your acid levels are low enough and bacteria are surviving the stomach, most people will get repeated burps after eating. Sometimes, you might even burp several hours after eating and taste ruminates of your meal. This is a strong indicator that the food is still in your stomach when it should be in your small intestine. The pH levels aren’t low enough to begin dumping the food into the intestines. Bloating and farting following a meal could be explained by several problems. One of which is bacterial overgrowth in the stomach or upper small intestine. Lower acid levels would contribute to this by allowing these bacteria to live in the stomach or upper intestine. There also could be a slowing of the speed of digestion affording the bacteria longer access to the food. There are other causes of Acid Reflux other than that which is described above, so let's take a look at those as well. Heartburn is actually a symptom of GERD (gastroesophageal reflux disease), and is caused by acid refluxing back into the esophagus. If you experience any of the symptoms listed above, don't ignore them! Go see your doctor for a full comprehensive Gastrointestinal examination, so that you may receive the proper treatment and calm your stomach! You can read more about each of these conditions below!